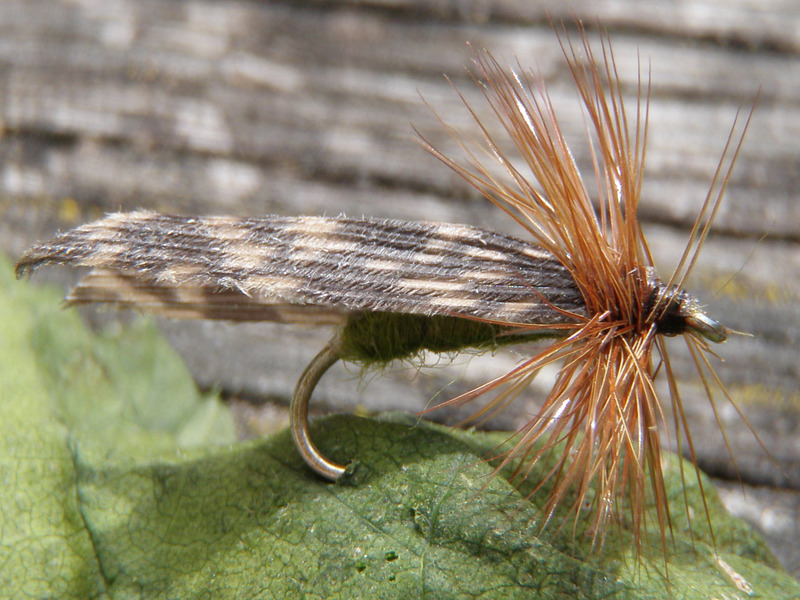 Classic brown Swiss fullwing sedge- gives you success in the late evening from june to september. 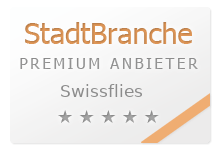 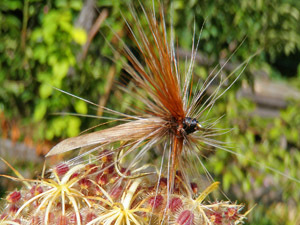 Olive body Swiss fullwing sedge- best in the Jura and prealpine rivers from mid may to september. Night sedge. 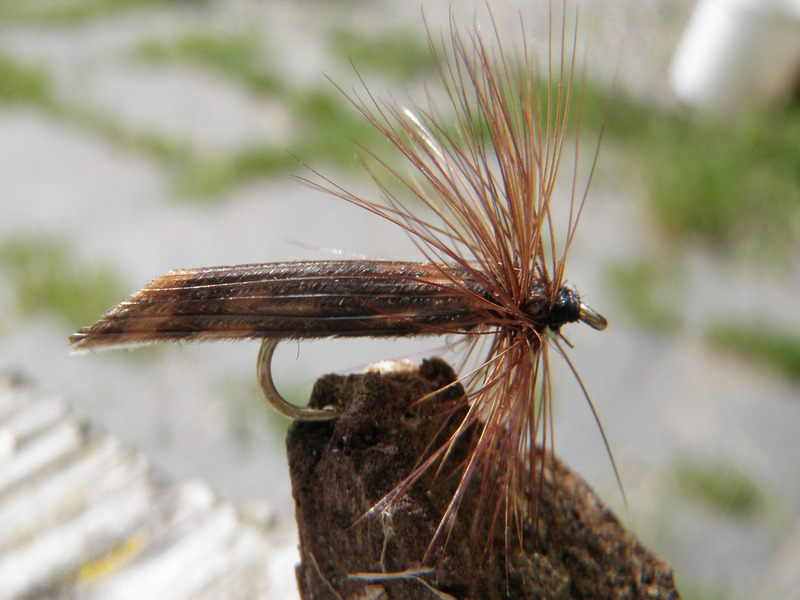 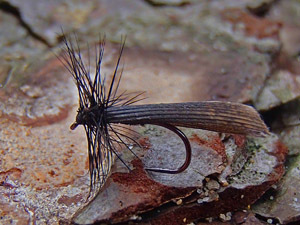 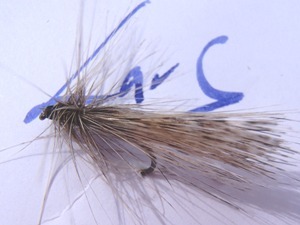 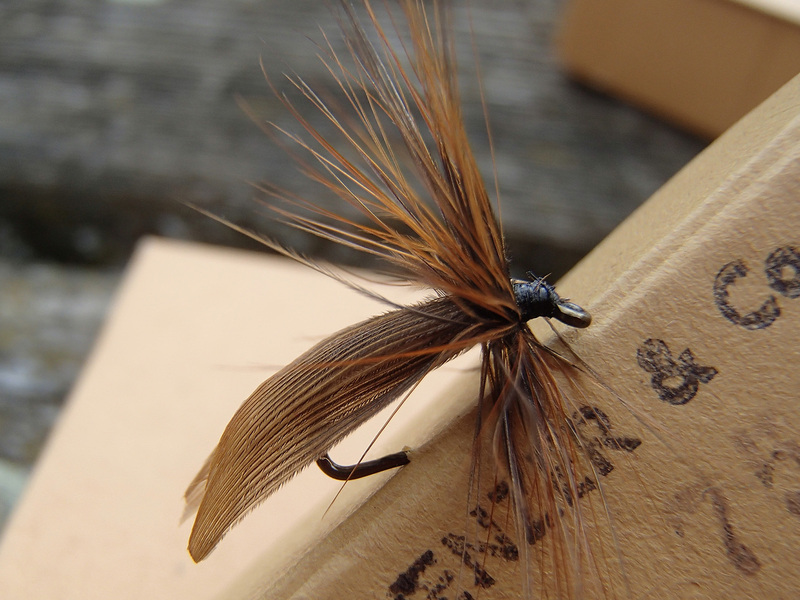 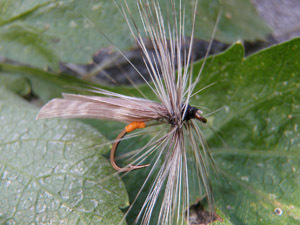 Long hackles in brown, wings beige. Do not use a nylon finer than 0.20mm!!! 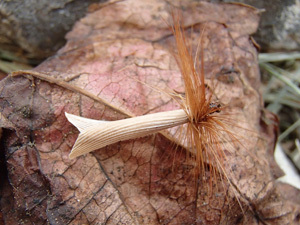 Olive sedge, where the tail part is made of orange Swiss straw. The best imitation for the female sedges, flying down on the water surface to put their eggs. 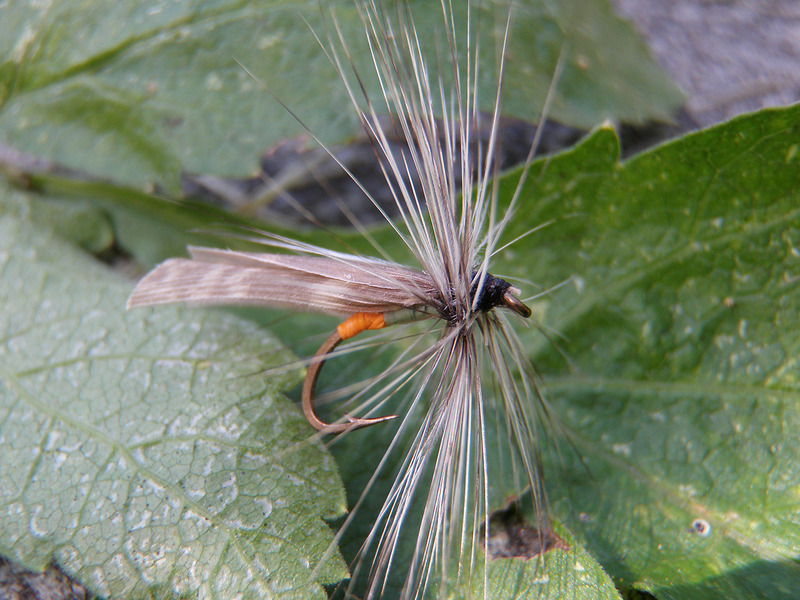 That is the moment the trout are waiting for.